The holiday season is definitely upon us now. 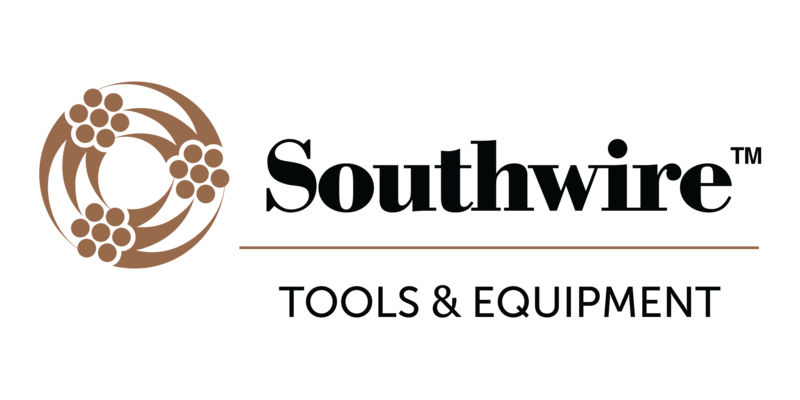 If your schedule is anything like mine shop time is a little hard to come by and money for tools or supplies might be a little tighter. 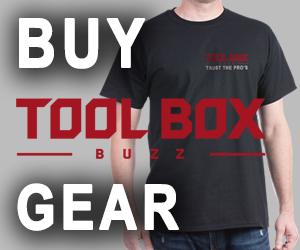 Perhaps your friends and family told you not to buy any tools this season lest you wreck their intentions to buy you tools. I’m notorious for doing that and it really bugs my wife. Today I’ve got a quick and cheap project to get you a little shop time, organize all your drills and impact drivers, and not cost more than $10. It’s so cheap that you could make a set for your friend or family member that could also use a little shop organization. 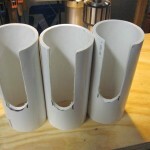 I made 2 sets to hold 3 drills, 2 impacts, and an oscillating multi-tool but you can adapt this project to your needs. 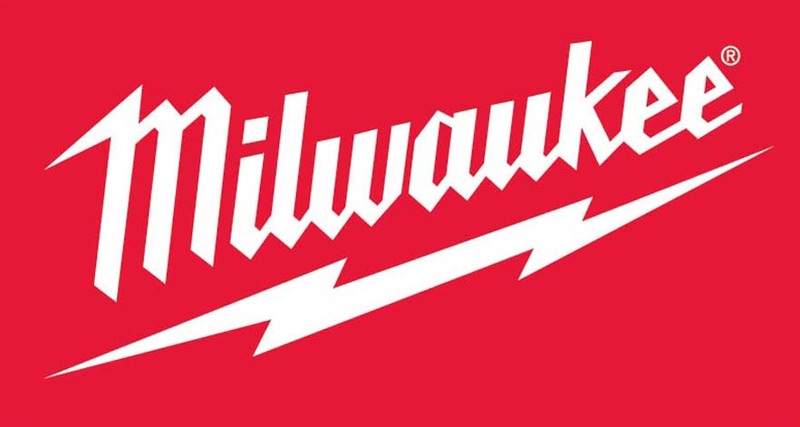 Both 12V and 18V RIDGID tools and Milwaukee M12 tools fit in a 1-1/2″ slot but be sure to measure your tools to figure out the width slot you’ll need. 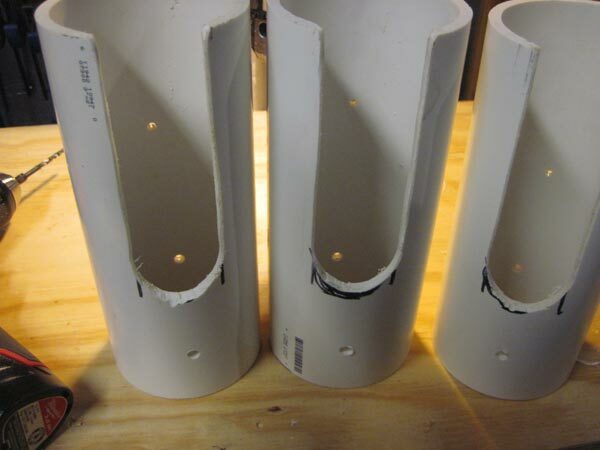 Step 1: Buy 2′ section of 3″ PVC pipe and mark it at 8 and 16 inches with sharpie. Home Depot sells these sections for just a few bucks. 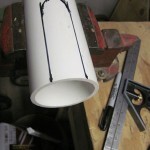 You could also use black ABS pipe but it’s more expensive and the melt point is lower so you would have to sand slower. 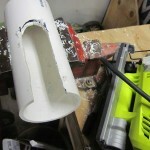 Step 2: Cut pipe with Miter or Reciprocating saw. 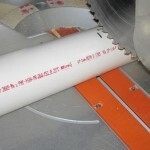 Miter saw will cut it faster and straighter but recip will work too. 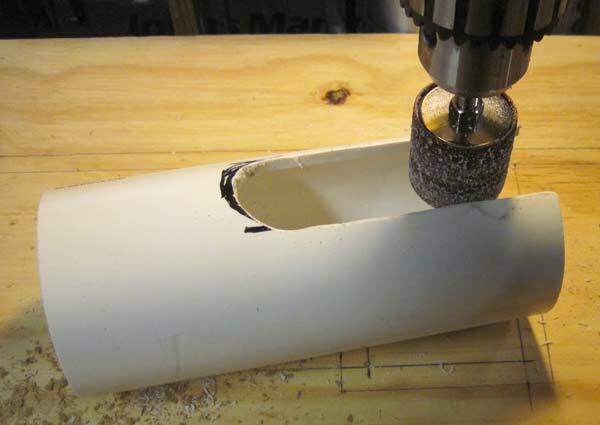 Step 3: Secure 8″ section in vise (or screw it down to the workbench) and mark a 1-1/2″ slot 5″ deep and round over the end. 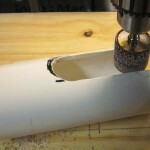 Step 4: Use a 1-1/2″ bit to drill the rounded part of the slot. I used a spade bit but eye protection is definitely needed. 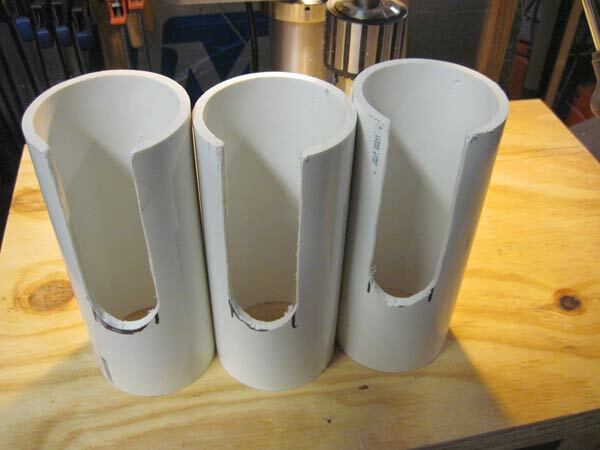 A hole bit is preferred but I couldn’t find my 1-1/2″ size when I made this. Jigsaw could also cut the curve. 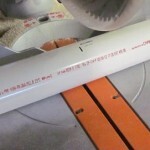 Step 5: Cut the straight lines with the Jigsaw or Oscillating Multi-tool. 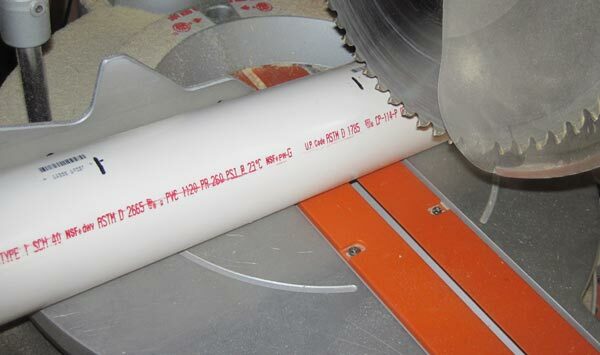 Take your time, cut level, part of the jigsaw base will be suspended in the air. It’s ok if your lines are not the straightest, they’ll be cleaned up in the next step. 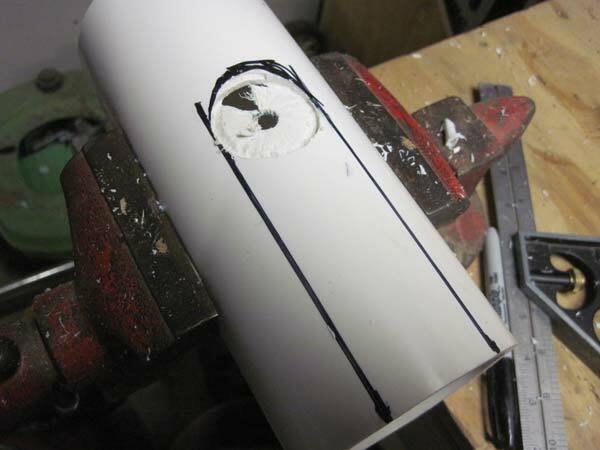 Step 6: Clean up the slot with a 1-1/2″ drum sander or sanding block. Use something aggressive like 60 or 80 grit to make this step go faster. If you have a drill press set the table height so that you don’t have to lift the piece. 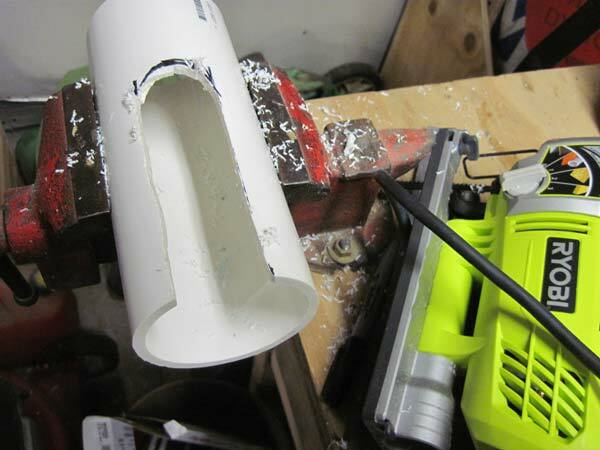 If using a drill press or cordless drill go slow enough not to melt the plastic. 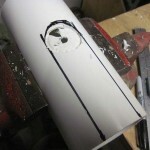 If you chose ABS than it has a lower melt point so you may have to sand even slower. If you don’t have a drill press this would be a great project to justify it’s purchase with your significant other! 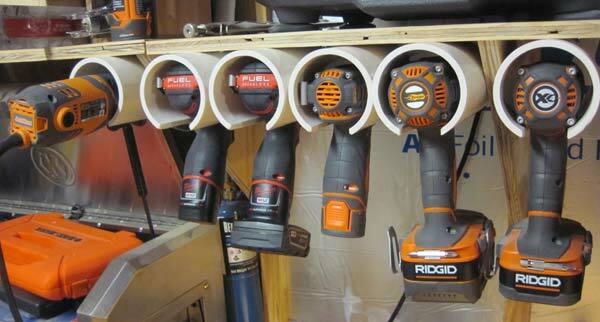 The Skil benchtop or Ridgid floorstanding press would be an excellent choice. Step 7: Test the fit. 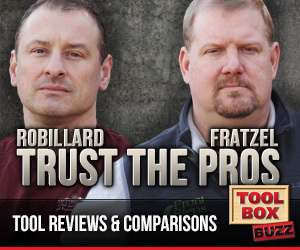 This is a great time to check the fit with all your drills or impact drivers. Some may need additional sanding if the fit is too tight. 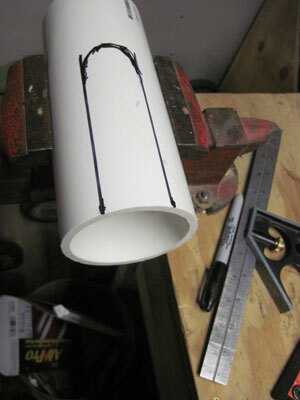 Step 8: Drill the mounting holes. 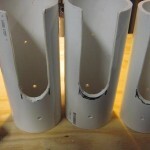 In the picture you’ll notice 3 holes drilled in each piece. The third hole is an access hole for the screwdriver. It will have to be a hair wider than the long tip on the impact or hand driver. Step 9: Mount them and fill them up. I mounted mine to the underside of a shelf about 6″ from the wall. I did that so I can leave bits mounted in them. I also made one for the RIDGID oscillating multi-tool because I use it all the time. You could mount the tubes in a vertical orientation as well as long as they don’t rest on the triggers. All these tools used to be spread across the work bench. Much more convenient now. Great idea.. I could really stand to do something like this.. Thank you. I love the interwebz, 5 minutes searching, and here i am. Just made 4, will make a couple more, and made a variation for my Porter Cable 6″ orbital, just cut a slot for the cord, mounted vertically. Like this ideal, got it added to my garage, cleared some needed counter space. 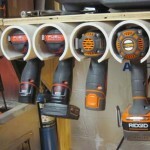 very clever power drill storage solution, makes great use of some left overs from other projects. Thank you for sharing!